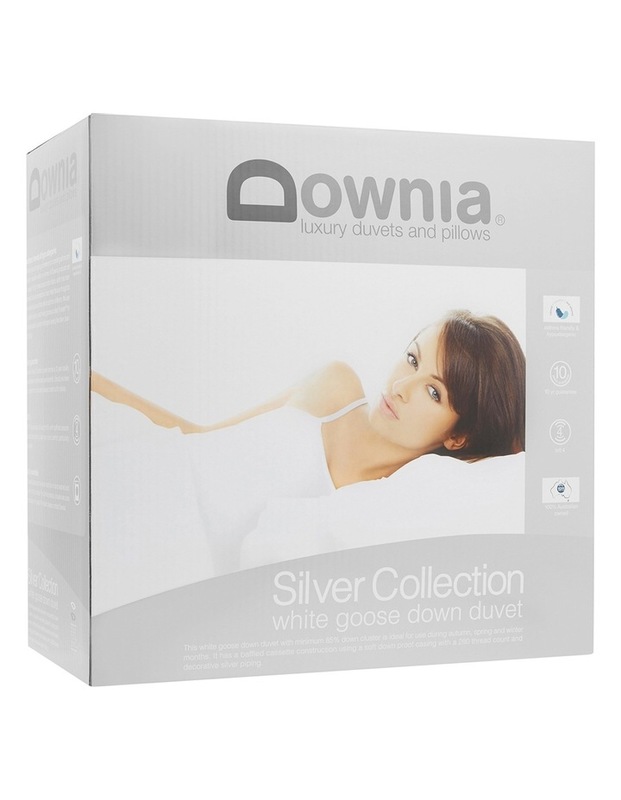 Ideal for use in the autumn, spring and winter months, the DOWNIA Silver Collection 85/15 Goose Down and Feather Quilt offers premium warmth without the weight. 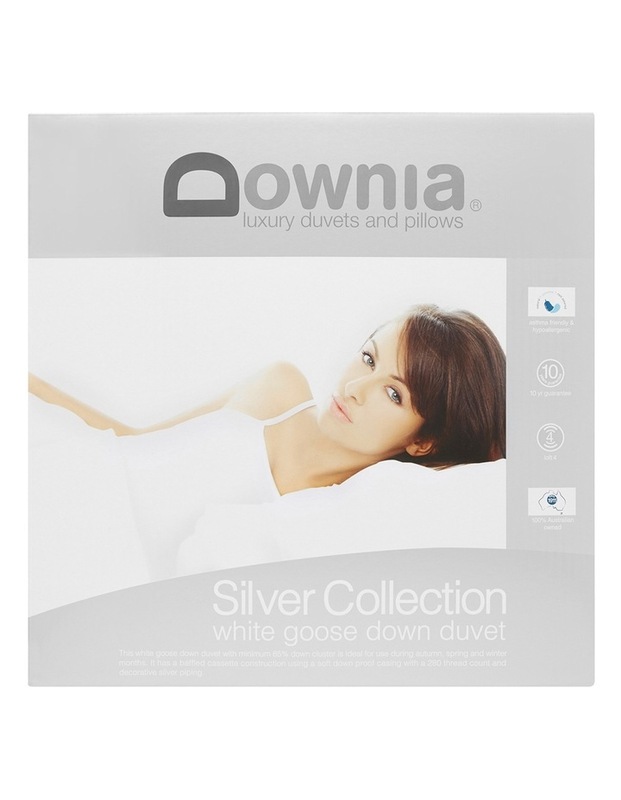 With 85% goose down clusters and 15% goose down feathers, this quilt delivers great insulation without the weight. 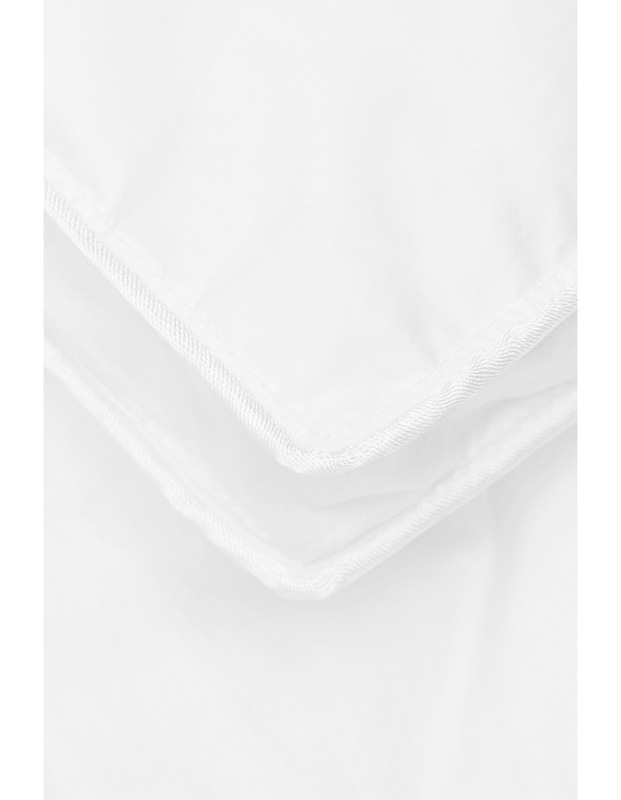 It has a baffled cassette construction using a soft, 280 thread count cotton down-proof casing to protect the filling from dust mites and keep the quilt asthma and allergy friendly. Finished with decorative silver piping.